» Public relations: More barber than barrister? 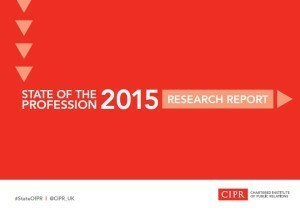 The annual Chartered Institute of Public Relations (CIPR) State of Profession survey gives a snapshot of the public relations discipline in the UK. I wrote last week about the lack of a social and digital media skill set in the industry and why it’s important to skill up. This post focuses on what it means to be professional. And whether simply pleasing your customer makes you part of a profession. To the State of the Profession survey question: “Is professionalism important?” Ninety-six per cent answered “being considered a professional is important” with 76% strongly agreeing with this statement and 18% tending to agree. But, when prompted to say what they believed were the best demonstrations of that professionalism more than half of all respondents indicated that ‘satisfying clients and/or employers was the clearest demonstration of professionalism in public relations claiming 55% of responses. Of course, pleasing your clients is important. It’s the way to stay in business. But does this make you professional? Does it make you part of a profession? Using client satisfaction as your yardstick means that Matt, the guy who cuts my hair at Barber Supreme here in Sydney, is a professional belonging to a profession. I think he does an excellent job. I love the ritual of visiting him every month. He hands me a cold bottle of beer on arrival. Engages me in conversation both broad and erudite. Provides a terrific cut. And when the hot towel arrives on a little metal plate I know the ritual is complete. Matt’s been to barber college – it’s where he met his co-partner, Chris. But I don’t know if the course lasted a day, a fortnight or several years. As far as I’m aware Matt hasn’t signed up to any barbers’ code of ethics. Nor, does he have to keep up with continued professional development points. I doubt, too, whether Matt was mandated to train for a period of time as a junior barber before earning his full barber stripes. If Matt is found to have provided a poor cut his customers will vote with their feet and not return. However, He won’t be thrown out of barbering. Here’s the thing. Matt gives me what I ask for. He delights me by delivering to the letter. But is he giving me what I need? Have styles and fashions evolved since he first took up the razor? 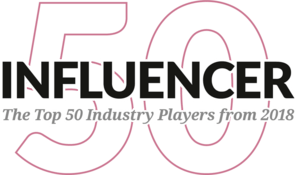 What’s he doing to keep up with – and stay ahead of – trends in his industry? Being good at your job doesn’t automatically make you professional. And, it doesn’t necessarily make you part of a profession. I touched on these points in a LinkedIn group thread owned by the Public Relations Institute of Australia (PRIA). Neil O’Sullivan, National Marketing and Communication Manager at PRIA, positioned PR alongside accountancy. I countered arguing that accountancy is a profession. Public relations is not. For alliterative purposes of the headline I’ve substituted the profession of accountancy for that of being a barrister. I suppose I could have used the term ‘bean counter’ in the headline if I was stuck on using accountants. But I wasn’t. In fact barista would have worked even better in the headline than barber. But, just 18-months into Sydneysider living I am yet to become a fully-fledged coffee snob. 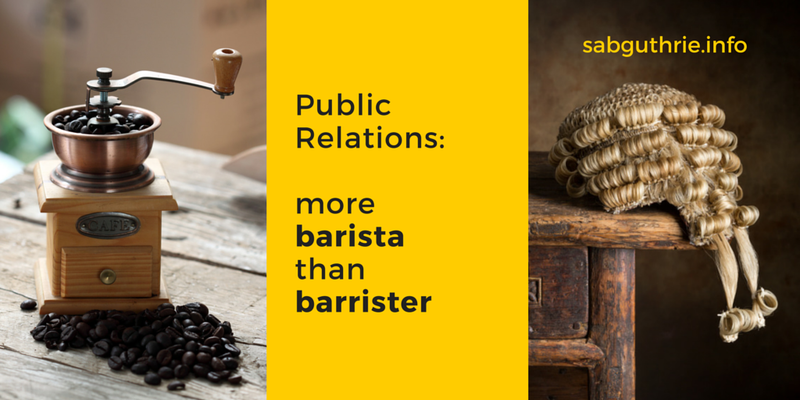 So “Public relations: more barrista than barrister” didn’t make the cut. Once in, and accredited by the relevant professional organisation, you are bound by that body’s code of professional ethics. You then need to undertake regular CPD. And, there are sanctions for malpractice. You will not be able to your services again within that jurisdiction. In public relations, you only need to print up some business cards, perhaps spend a bit on Google Adwords and convince clients to pay your fees. As it’s not a profession there’s no minimum threshold. No barrier to entry. No enforced CPD. No sanctions for malpractice. This means you get good PR practitioners and bad ones. Those who strive to innovate. To push the discipline forward. But equally, those who get stuck in a moment in time. Fossilised. 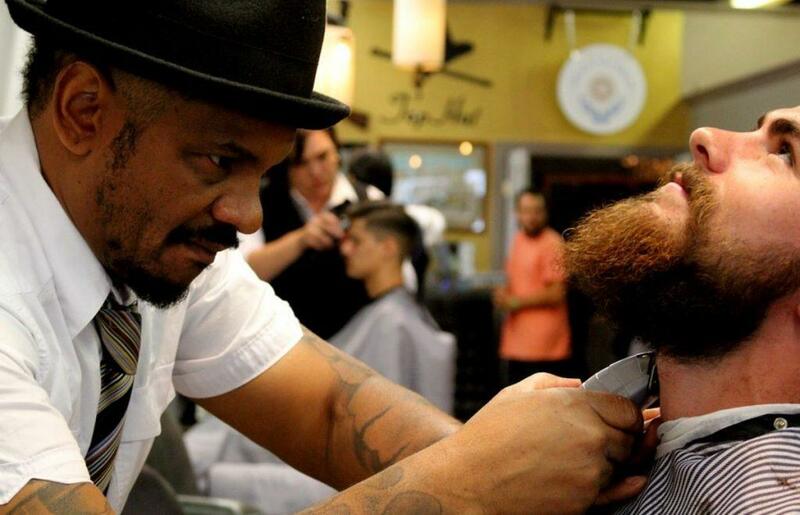 By this reasoning PR practitioners have more in common with barbers than they do barristers. Neil explains that in order to become a full member of the PRIA, you must adhere to strict minimum academic requirements and keep up with CPD points criteria. “Eligibility [to PRIA] is restricted to those who have over five years experience working in public relations/communication or related role; or who hold a PRIA accredited degree with more than three years’ experience in a public relations/communication or related role” explained Neil. This is my point. Unlike professions, public relations practitioners are not mandated to join professional bodies such as PRIA, CIPR, PRCA or PRSA. No doubt, the sensible ones will. They are the ones who will provide best-of-class work for their clients, advance the discipline and achieve CPD points along the way. But these bodies are membership clubs pushing best practice. They are not true professional bodies who wield the ultimate power of preventing practitioners from practicing their profession if found to have breached the profession’s codes. Judy Gombita, writing in a post back in December 2007 on PR Conversations tackles the question of whether public relations is a profession, trade or industry. Judy comes down firmly on the side against public relations being a profession. Offering up Chitra Reddin’s Four Pillars of Professionalism this thoughtful post identifies six challenges facing public relations in its push to become a profession along with possible answers. In the UK only a third of PR practitioners belong to an industry body – and are therefore bound by industry body codes. Just a fraction of these has committed to CPD (though this is rising). 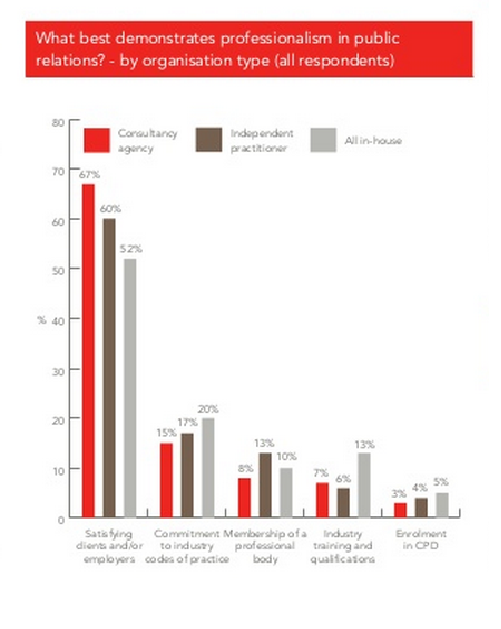 And according to the CIPR survey 52% of respondents said they didn’t hold a professional qualification of any sort. Changing behaviours is like observing people during a fire. Some people will instinctively move as soon as they see the light of the flames. Others won’t budge until those same flames are singeing their clothes. RELATED: The press don’t know what public relations is. Who should tell them? To elevate PR to a profession means not just preaching to the choir – speaking to those already signed up to professional standards. It means somehow reaching those who Danny Whatmough and Max Tatton-Brown call “the big long tail of PRs”. One law of change states: “Change happens only as the result of insurmountable market pressure”. These PRs will only adapt when they’ve been burned financially. Public relations has a bright future – but practitioners need to build a strong, unified industry voice via their national industry bodies. CIPR and PRCA, in the UK or PRIA in Australia. That means signing up to their codes of conduct and understanding that to be relevant tomorrow means lifelong learning today. Great post Scott. It may be a controversial view but in my profession PR will always be seen by organisational leaders (especilally the financially trained ones) as barbers and never professionals. We should stop obsessing about “professional” status and just get on with delivering damn good work for our organisations that delivers real value. Too many comms pros in my opinion have far too little knowledge about how strategic and tactical comms affects brand value, reputation and trust… how that can and should be valued on the balance sheet … and more importantly what happens if these metrics go down. Personally when I look to either hire or be hired I look at what value that person/organisation has delivered – not what letters they have after their name!!! I’d buy all of this – I honestly would – if the other professions cited didn’t have any mediocre people or out-of-touch dinosaurs in them, or people with no ethical integrity. If their professional bodies were not toothless tigers in upholding high standards, only interested in protecting the status-quo; were pillars of equal opportunity and social or even ethnic diversity. But they’re not, are they? Until such time, I prefer to let the market tell me if I’m providing value. I’ll take care of my own learning and development too, for that matter. Thanks for taking the time to comment Andy. There are sanctions for malpractice in professions. I can’t comment on how well they’re enforced by each professional body, however. To your point about allowing the market to be your barometer: yes, an important point. I included in the penultimate paragraph a law of change: “Change happens only as the result of insurmountable market pressure”. But, consider this, more than half (59%) of executives in a survey by PRSA New Jersey http://sabg.co/1HWlfHA do not fully understand the role and capabilities of PR. This suggests they’re guided by what they’ve always done and what PRs tell them to do. To me this is like Matt, my barber, giving me the same cut each time because I ask for it rather than suggesting a new style using latest techniques. PR industry bodies should help educate firms about what to expect from PR services. L&D has perhaps never been so vital as the business world constantly changes. I can see from your Twitter feed that L&D is important to you. Industry bodies can provide guidance on CPD and best practice, too. Hi Scott, to your 3rd paragraph in this comment, yes, I think a person named Zach Weiner wrote a similar warning to agencies in imediaconnection. Something about not only reacting, but suggesting. Alex, I hadn’t heard of that line – or of Zach. He sounds an eminently sensible fellow, though. 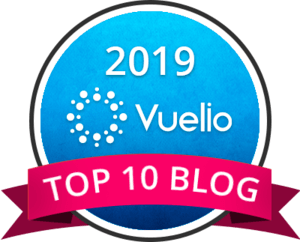 Thanks for your reading and your comments. None of us is a prophet. We can’t know the future. But with solid foundational knowledge plus ongoing learning through CPD and experience we can mitigate risk and improve our chances of success.